WASHINGTON, DC – President Donald Trump’s 2017 Thanksgiving Day Proclamation, the first of his presidency, invokes the religious and historical themes and foundations of America’s tradition of thanking God for all the blessings those in this country enjoy. 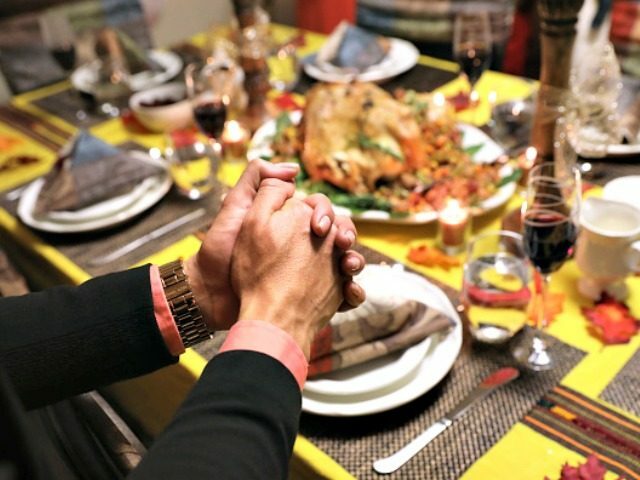 “Americans give thanks to Almighty God for our abundant blessings,” President Trump declared, in a presidential proclamation reproduced in its entirety by Breitbart News. President Trump’s Thanksgiving Proclamation ties into a series of robust, unapologetic acknowledgments of the role of faith in America, beginning with the Pilgrims’ landing in America at Plymouth in 1620 and the first Thanksgiving, proclaimed by William Bradford. In doing so, the current president joins a long line of his predecessors, highlighting that religious faith played a central role in the founding of this nation and continues to play a role in the lives of tens of millions of Americans. In his first year in office, on October 3, 1789, President George Washington set a precedent for his successors in office, showing that there is a role that a secular president can play in the faith-based life of the nation he leads. President Abraham Lincoln standardized this practice of offering thanks to God, establishing it on the fourth Thursday in November. Many Americans are less accustomed in 2017 to hearing their president quote language that mentions God’s anger for people’s sins or God’s mercy in his willingness to forgive sin.